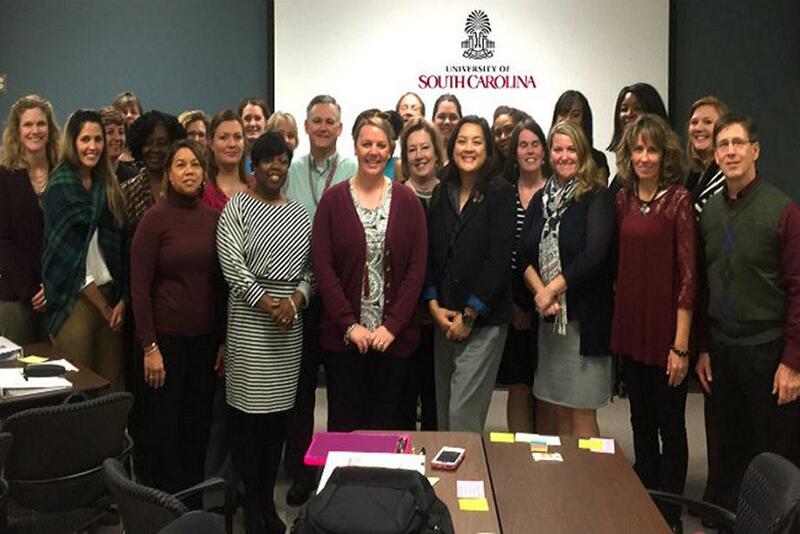 UofSC's Lean Community of Practice is made up of employees and managers from across the university system. These trained practitioners are equipped with ideas, methods and tools for making processes simpler, faster, better and less costly. If you want to learn more about Lean-powered improvement, reach out to one of the practitioners listed below. There are three levels [pdf] of Lean learning, practice and leadership. 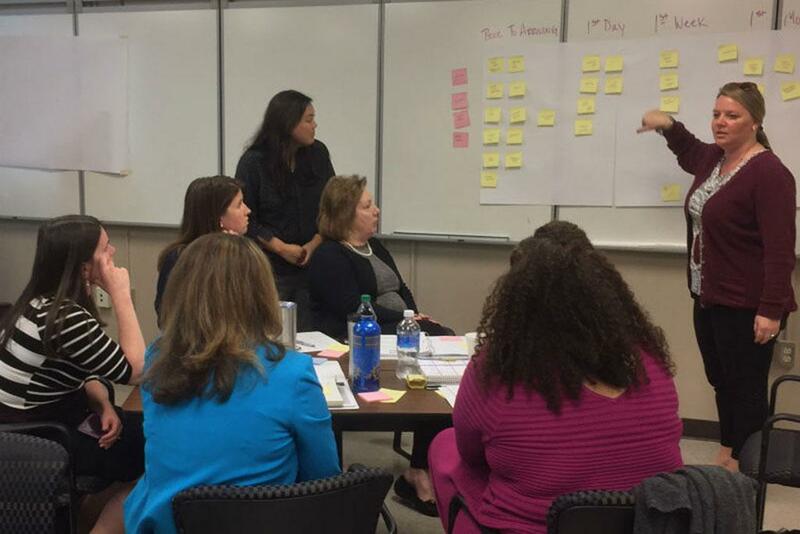 Lean learners are required to have at least 12 contact hours of in-class training for Yellow Belt status. 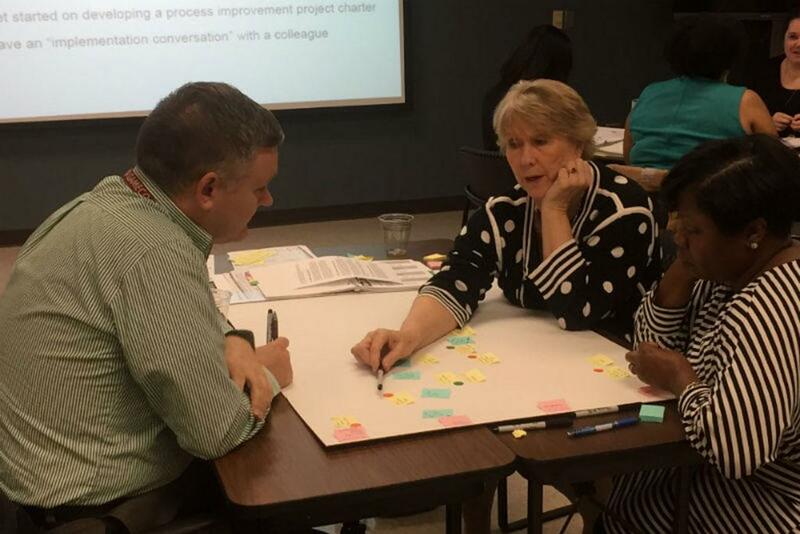 Lean practitioners earn different levels of expertise by putting Lean methods and tools to work. Numbering 27-people strong, our team of practitioners come from all areas of the university. Some of them might even work in your area, so you can reach out to them when needed. This photo gallery spotlights our practitioners putting their skills to work. Share how you’re using Lean to bring about improvement by filling out the Lean Action Report [pdf]. 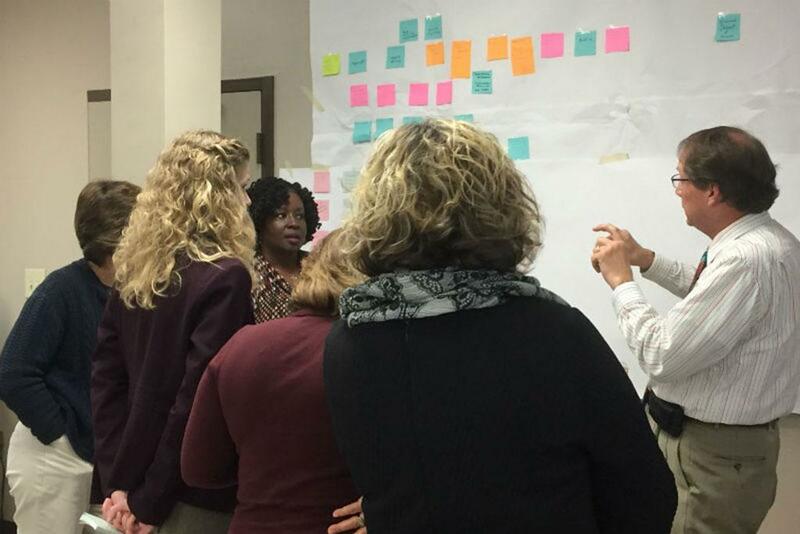 The Office of Organizational and Professional Development uses this input to track progress, pinpoint where support is needed and uncover success stories that call for recognition. 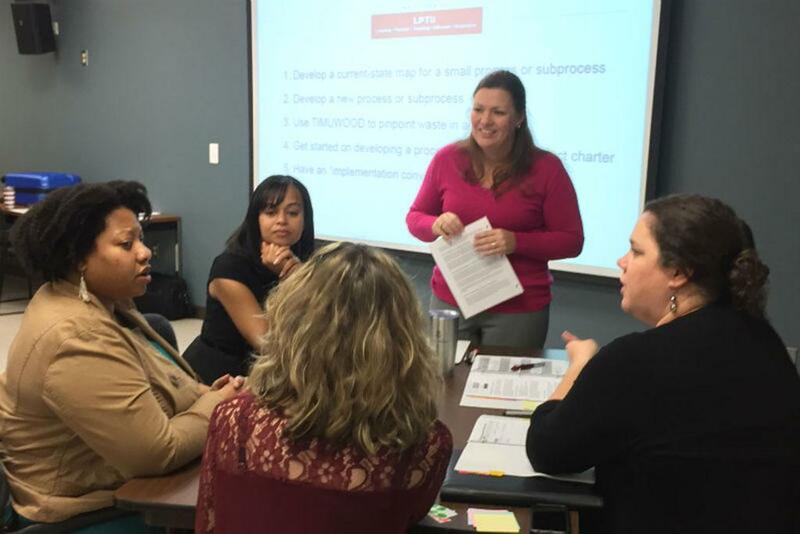 For more information on process improvement, attend one of our basic training classes. Check the availability on our calendar or class list by subject page.